Asia has a highly diverse health landscape, with diseases and health systems varying substantially between countries. Malaria Consortium works mainly in the Greater Mekong Subregion (GMS) of Southeast Asia, with offices in three countries: Myanmar, Cambodia and Thailand. The GMS has a population of about 326 million people. While it has a relatively low risk of malaria compared to sub-Saharan Africa, the region still faces significant challenges in maintaining the successes achieved to date in malaria control and prevention. This is in large part due to the development of resistance to the most effective antimalarial drugs. Resistance of the malaria parasite to artemisinin based combination therapies (or ACTs) was first reported along the Thailand-Cambodia border in 2008 and has continued to spread in the region – threatening to reverse decades of progress if it is not contained. Dengue has also proven to be a substantial and growing threat in Asia, accounting for an estimated 75 percent of the global dengue burden. This mosquito-borne viral infection that leads to flu-like symptoms has huge health, social and economic impacts in endemic areas. Whilst malaria can be targeted with antimalarial drugs, dengue has no specific treatment and is usually managed by addressing symptoms – making prevention efforts crucial to containing the disease. A range of other health problems persist in Asia despite great progress in reducing maternal and child mortality in the region, with pneumonia and diarrhoea currently accounting for a large portion of deaths in children. 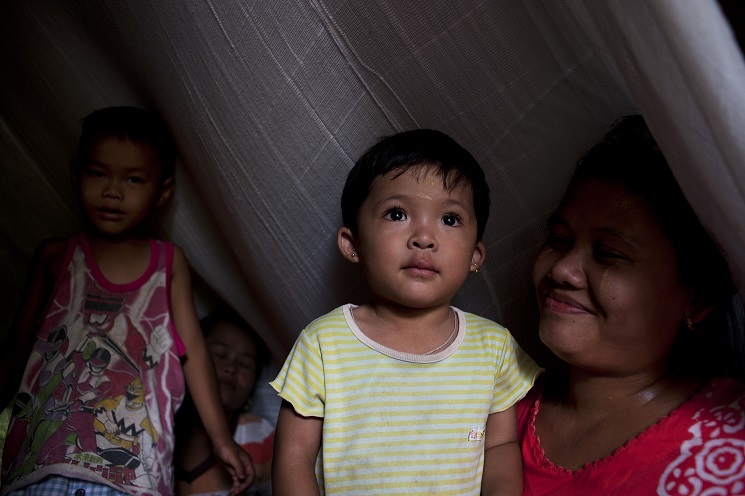 According to UNICEF, child mortality in Southeast Asia has fallen by over half since 1990 – but still falls short of the Millennium Development Goals. Whilst mortality rates are often correlated with levels of economic development, isolated cases of improved child health, despite lack of substantial economic growth, suggest that targeted interventions can be successful. Malaria Consortium has been engaged in malaria and disease control in Asia since 2003, with a regional office based in Bangkok, Thailand. Since its inception, Malaria Consortium has targeted key health burdens in this area, including malaria, pneumonia, dengue and neglected tropical diseases, along with other factors that impact child and maternal health. This engagement grew out of long-term collaborations within the region, looking at the particular health challenges faced by vulnerable populations in Asia. Currently, we have expanded our presence in the region to a total of six offices in three countries, including Thailand (Chiang Mai), Cambodia (Phnom Penh, Ratanakiri, Pailin) and Myanmar (Yangon). Malaria Consortium Asia works with communities, health systems, government and non-government agencies, academic institutions as well as local and international organisations to ensure sustainable impact and good evidence-based delivery of services. We assist national programmes and partners to design and carry out cutting edge implementation research, surveillance and monitoring and evaluation contributing to develop a comprehensive updated base of evidence on the region’s disease burden, drug use, improvement of health access and quality of care. We also identify and help to support the elimination of relevant drug resistant organisms and insecticide resistant vectors by providing technical assistance and consulting services that shape and strengthen national and international health policies, strategies and systems as well as build local capacity. Our work in the region has stretched across several countries, including Cambodia, Laos, Myanmar, Thailand, Vietnam, and Yunnan Province, China. Find out more about our work and areas of focus in Asia here.